C-130J TOLD Training & C-130 preTOLD software | Elite Electronic Engineering, Inc.
Elite provides software applications and training courses for pilots and mission planners, with a focus on military aviation. Our goal is to provide products and services that save time and enhance situational awareness to get the most out of your aircraft. We currently offer solutions for the C-130 Hercules community that unleash available performance and capability to improve operational efficiency. Elite also provides consulting services for aircraft performance analysis, flight testing, and operations analysis. We can apply our expansive knowledge of C-130 performance to reduce fuel consumption in current operations and assist in evaluating modernization options. 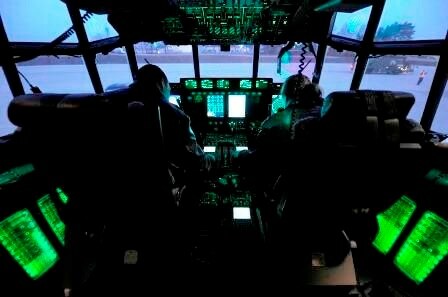 Train, Plan, and Execute with C-130J preTOLD Calculate C-130H and C-130J Takeoff and Landing Data (TOLD) on PC and iPad. Provides advisory data consistent with U.S. Air Force publications and Block 6.0 and 7.0 Mission Computer results. Designed for pilots, flight engineers, and mission planners to provide fast, accurate results on the ground and in the air. TOLD planning is complex and advanced knowledge of the data and procedures is critical to safe and efficient flight operations. Our expert provides classroom instruction at your location with exclusive training materials. Designed for pilots to improve knowledge of takeoff and landing performance data and its application in MC TOLD.